Big Data, cloud solutions, Internet of Things, artificial intelligence, predictive analytics, augmented & virtual reality are the trends of digital transformation. Those who don’t pay attention to these technologies can have easily a disadvantage. Digital disruption is progressing rapidly and companies often have little time to adapt to new market conditions and competitors. A good example is the rise of the booking platform Airbnb. Through the use of digital concepts and technologies, Airbnb has gained a significant market share in Switzerland within just 6 years, such as in Valais (57%), Basel (47%) and Zurich (23%) – compared to classic hotels. These are now facing major challenges in terms of their core business and their existence. And what about the digital performance of your company – what about your future? The digital transformation is a great opportunity for any company, but also a very big challenge that needs to be mastered. As a proven expert in the field of digital transformation, Advellence supports companies in identifying hidden potential for their business, making processes more efficient and introducing innovative solutions. We are happy to assist you in all your digital projects with our know-how, our expertise and our proven solutions. 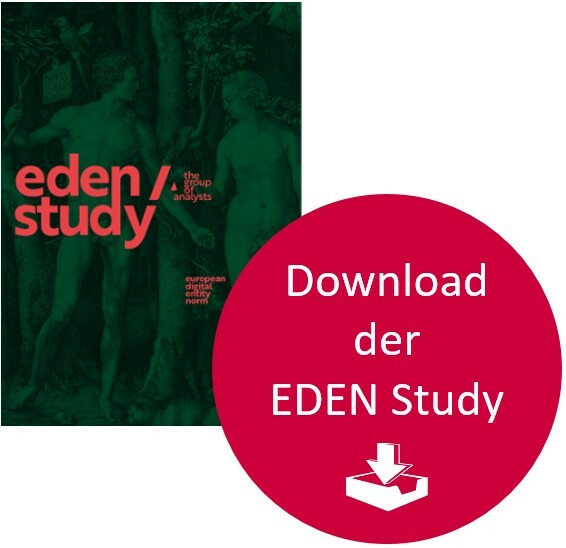 The EDEN (European Digital Entity Norm) study presents the grade of digitization of companies and the associated opportunities and risks. It describes the situation of digitization of companies based in Europe. Take a look in the digital mirror. How able is your company to optimize itself and succeed in the digital future? 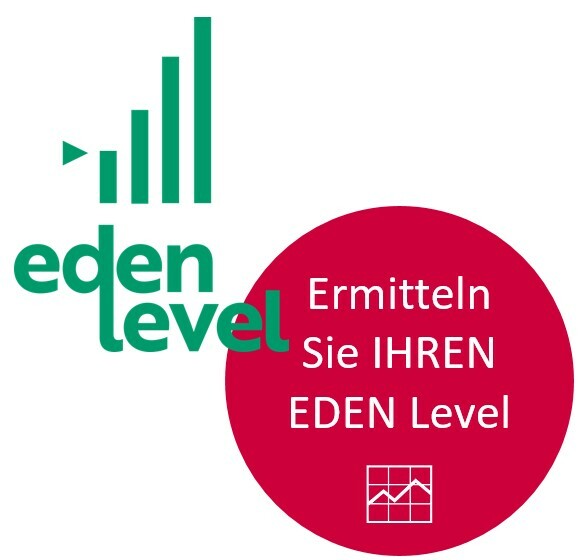 Determine your EDEN level right now.